"Nightly" has recently been outpaced in total audience by "ABC World News Tonight." Sam Singal, the executive producer of "NBC Nightly News," the flagship TV news program of NBC News, has stepped down, NBC News officials said Friday. Singal, who has been executive producer for "Nightly" since 2015 and was previously weekend executive producer of the show, will be replaced in the interim by Jennifer Suozzo, senior broadcast producer for the show. Suozzo is a former founding executive producer of MSNBC's "Andrea Mitchell Reports." An NBC spokesperson confirmed that Singal is stepping down but declined to comment on the reason for the change. Singal and Suozzo will work together next week on a transition, and a source familiar with the situation said that Singal is having discussions about other roles at NBC News. While "Nightly" typically attracts the most viewers in the prized demographic of 25- to 54-year-olds, "ABC World News Tonight" has recently brought in the largest overall audience. In the week of July 16, ABC's news program averaged 7.8 million total viewers compared to 7.2 million viewers for "Nightly" and 5.9 million for "CBS Evening News," according to data from media measurement firm Nielsen. 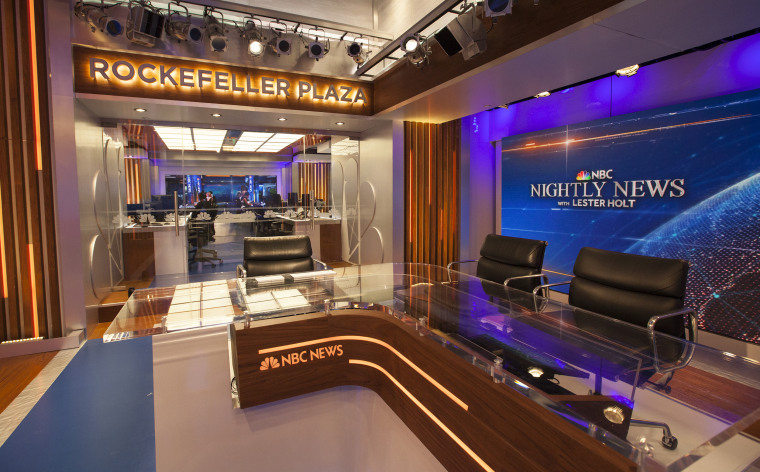 Singal addressed "Nightly" staff at a meeting on Friday, according to the NBC spokesperson. "I am incredibly grateful for my time here and so incredibly proud of all the terrific journalism that everyone in this room and on the phone does every single day," Singal said. "It is smart, it is thorough, and, most importantly, it is fair, and it’s something that I am very proud of when I leave here every night." Lester Holt, anchor of "Nightly," told staff at the meeting that Singal had left the show in a good place.